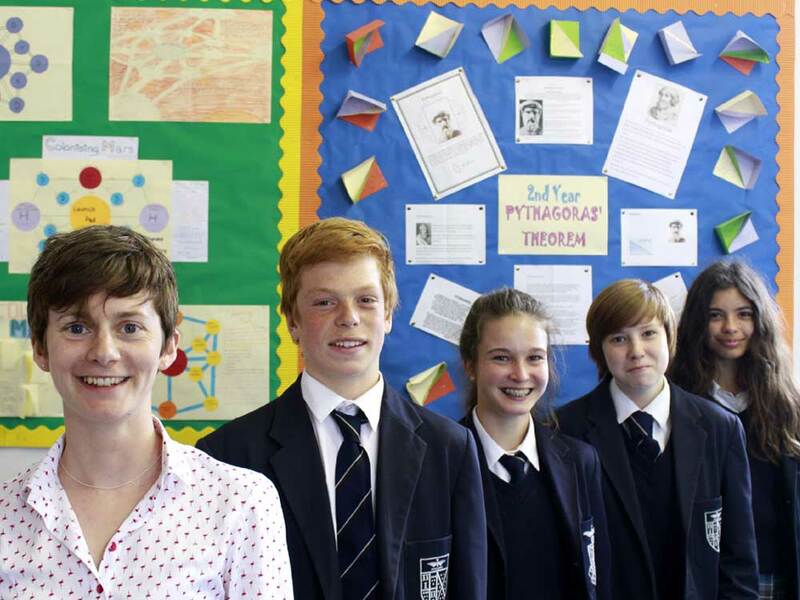 During the Easter break a team of four students competed in the UKMT Regional Maths Final held at Penair School. Lloyd and Zoe from the 3rd year alongside Georgia and Beth from the 2nd year took part in four rounds: a group round, a crossnumber, a shuttle race and a relay race. Following a hard day of maths, and a bit of running around, the team were delighted to win the competition and go through to the National Finals at the Royal Horticultural Halls in London on Monday 22nd June 2015. Almost 1700 schools entered the competition and just 80 have qualified to take part in the National Final. The National Final includes an extra round in which the team will need to design a poster on a mathematical subject. Maths Teacher Dr Eastburn pictured with (left to right): Lloyd, Zoe, Beth and Georgia. The Maths team are now looking forward to learning which topic they will need to do some reading around before the National Final next month.